Perfect for all of your gift giving needs! One size fits all! Nothing says that you care more than a thoughtful gift from the heart! 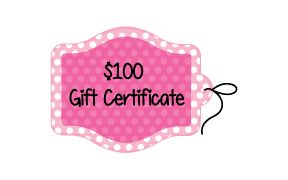 Paper Sweeties gift certificates allow you to give 'the perfect gift' to your favorite paper crafter! 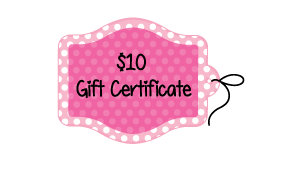 Paper Sweeties offers gift certificates in a variety of price points to meet everyone's gift giving needs ... what a fun way to make someone happy! The best thing is that one size fits all and your recipients can choose the products that are on their wish list! Giving Paper Sweeties gift certificates is EASY - purchase, print and give! After you have completed your gift certificate purchase, you will receive an e-mail within 24 hours containing a printable certificate with redemption code.